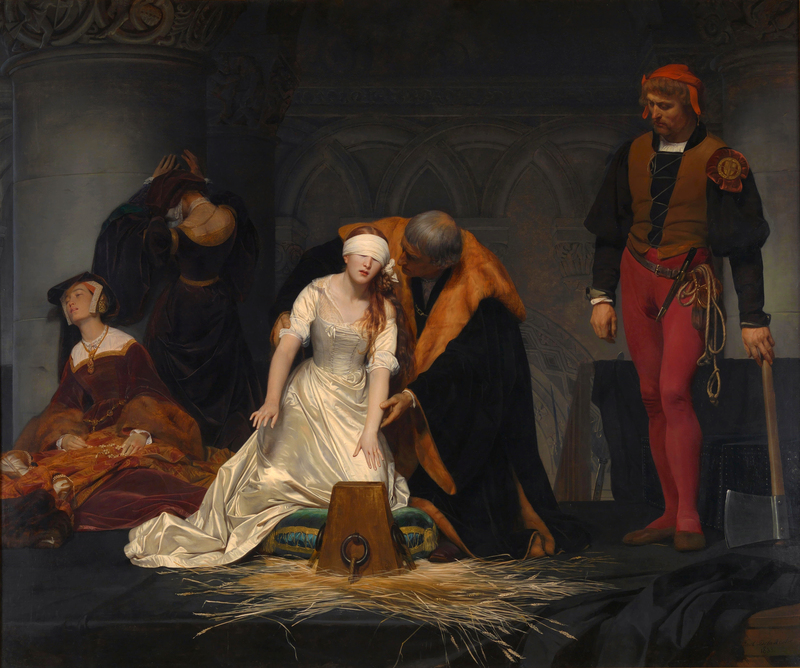 Lady Jane Grey was the Queen of England for just nine days, which is the shortest rule of England in its history. When King Edward VI became deathly ill, he signed a document declaring that Lady Jane would be heir to his throne instead of his sisters Princess Mary and Princess Elizabeth, in an effort to save England from being transformed back to Catholicism under Mary’s rule. Jane didn’t want the crown, but it was forced upon her by her parents and advisors to Edward. She was ultimately overthrown by the rightful Queen Mary and executed by beheading at the Tower of London. The poor girl was only a teenager when she was killed. Jane spent a couple of her childhood years at this castle as a ward to the late King Henry VIII’s widow Catherine Howard. Until Catherine died from childbirth, her years at Sudeley were some of her happiest, as she was able to escape the hard treatment from her parents. Lady Jane Grey was imprisoned at the Tower of London after Queen Mary was proclaimed queen. Jane was imprisoned in the Tower’s Gentleman Gaoler’s apartments, while her husband Lord Guildford Dudley was held in the Beauchamp Tower. On the morning of 12 February 1554, Guildford was publicly beheaded at Tower Hill. Jane saw her husband’s remains wheeled past her rooms, and supposedly exclaimed, “Oh, Guildford, Guildford.” She was then taken to scaffold on the Tower Green to be beheaded.